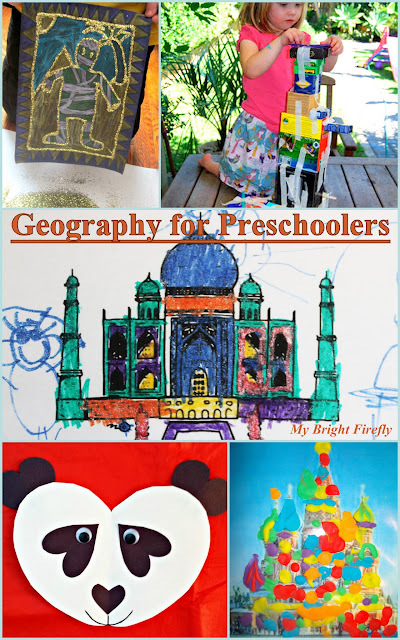 World Geography Preschool Activities. Little Passports. Opening little windows into the big world for the early explorers is so sweet and exciting! Kindergarten readiness: gaining new vocabulary is very important for future success in reading! First introduction to different cultures and ways of life makes for the great lessons on empathy and kindness. Spark the curiosity: kids love exploring the wonders of the world! World geography and cultures explorations create wonderful opportunities for creative and playful discoveries. Invitation to Explore Land, Air, and Water from My Bright Firefly. She created the layers of rocks, sand and clay, and soil in a tube; tried to find air in an empty tube; compared and learned to describe rocks; played with water. G is for Globe from My Bright Firefly. Land, Water, and Air sensory table, the first introduction to globe. 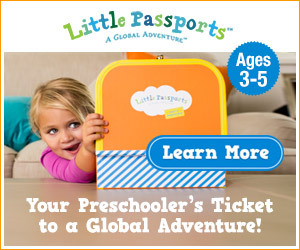 I'd also like to introduce Little Passports Early Explorers, a monthly subscription service - a global adventure for kids ages 3-5, delivered right to your door. Explore Egypt through Art from B-Inspired Mama. This fun and glitter-y art project is inspired by the book and a wonderful exploration of the ancient culture. The Leaning Tower of Pisa from A Mom with the Lesson Plan is a creative engineering project using old boxes, tape, and paint. The Taj Mahal Coloring Page Free Printable from Shirleys Preschool Activities was used for this activity. My Firefly wanted to color with glitter pens. She added the giant blue sun and dancing ballerinas to her picture. Will I explain to her that ballerinas have never performed there? Maybe later. For now, she is exploring and admiring the beauty of the world in her own way, using her power of imagination. She was interested to find out that it is called Taj Mahal and it's in India. A Panda Bear Made of Hearts from Crafty Morning. That is such a sweet panda bear craft! A "cupcake castle" play dough mat: Saint Basil's Cathedral. Engineering with mega blocks and boards: The Brandenburg Gate. Eight Fun Ways to Explore Geography and Cultures Around the World from Planet Smarty Pants. Building Eiffel Tower from 3 Dinosaurs. 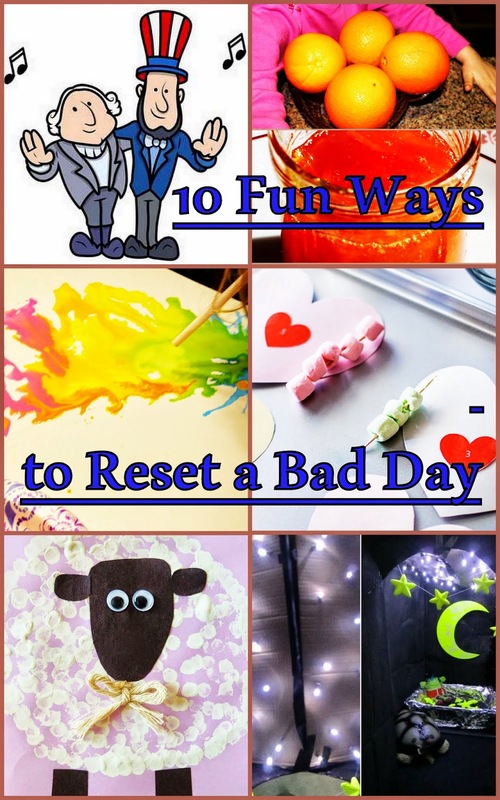 Wonderful books recommendation and a collaborative building project: there are some wonderful creative family fun ideas in this article! Sydney Harbor Bridge Craft from Danya Banya. You might have all the supplies needed for this easy building a bridge project. Little Passports Early Explorers is a monthly subscription service - a global adventure for kids ages 3-5, delivered right to your door. I love how thoughtful, caring, and detail oriented Little Passports are in planning activities for this age group! The first monthly package is a "traveler kit". 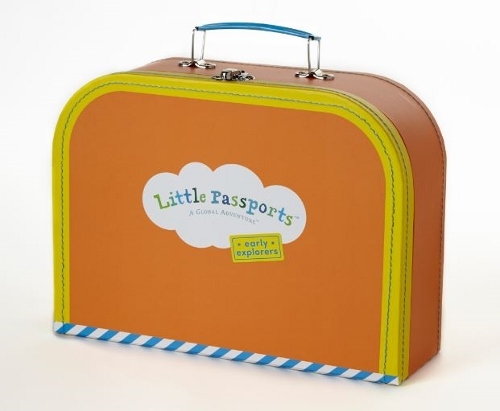 The cute orange suitcase is a fun prop for pretend play with all the sweet details (yellow, green and blue letters, a passport, stickers, pictures). The kit includes a helpful wall-sized map which is color coded for the ease of use by little explorers (the colors used are different than colors on a Montessori map). 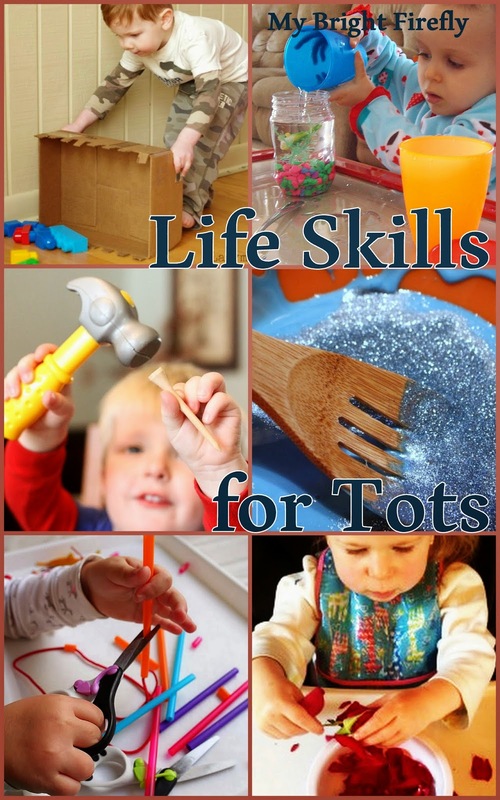 Each month, there are fun activities and supplies for a theme of the months. The first theme is "Landmarks". 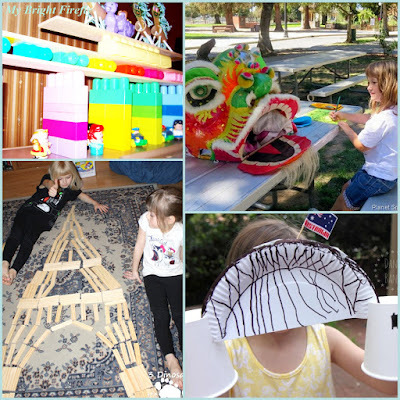 The World Landmarks kit includes mini landmarks kids would love along with fun activities. Some of the themes are: world animals, music, art, oceans, habitats, transportation. 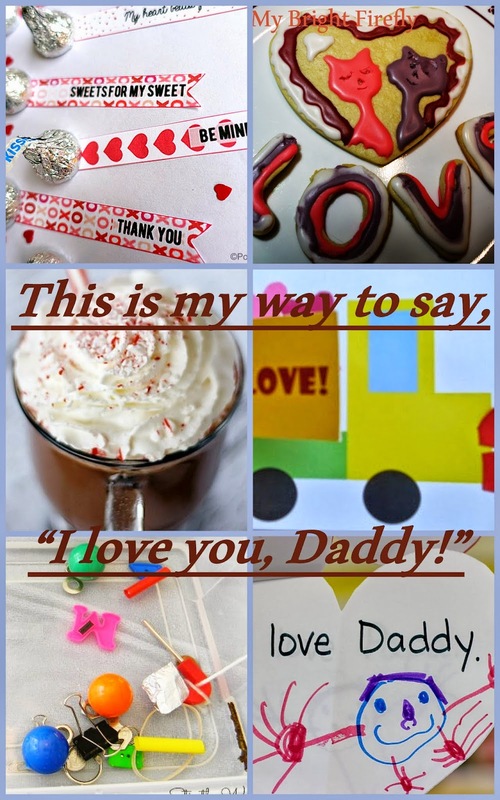 10 Fun Ways to Say "I Love You, Daddy!" Finding Spring ABC Letters Games. Pley. Telling Time Game: How Long Will You Love Me? Fun Introduction to Sentence. Summer Learning Games for Kids. Tasty Volumes of Juice: Measure Liquids Math Activities for Kids. Watermark theme. Theme images by 5ugarless. Powered by Blogger.